Avoid a worst case scenario. In manufacturing, it costs a lot more to fix problems caused by poor part documentation than it does to document product parts properly the first time. Realizing that your product contains parts that have procurement challenges or functional limitations is a misstep no manufacturer can afford. Even more painful is realizing these problems could have been avoided with proper documentation. Rigorous and consistent part documentation policies can prevent late breaking component challenges, and help keep your production line running on time and on budget. In this article, we provide tips on how to find electronic components and explain why documenting them throughout the design and production phases is crucial. Finding electronic component parts: Who does it and why it matters. Engineers build prototypes (functional versions of a product that a company wants to take to market) to test their design before moving to production. During this design phase, engineers must find electronic and mechanical parts that will make the design a reality. Finding “jelly bean parts” like resistors or capacitors during the design phase typically doesn’t take a lot of time because these parts are readily available and can be obtained from a number of sources. But complex electronic component parts and those that have unique design features (e.g. microprocessors or memory) require more investigation and research. At various times in the manufacturing process other groups and departments within and outside an organization will need to find parts. For example, when a product goes from prototype to production it becomes the purchasing team’s job to buy parts in bulk so the product can be built in volume. In other cases, companies decide to give their contract manufacturers (CMs) responsibility for purchasing the parts. The CM will optimize for cost, lead time and part needs across projects. Regardless of who adds parts to a shopping cart, having detailed part information will help ensure the purchased parts meet the engineering requirements. Minimize your investment up-front: Purchasing prototype parts from these distributors won’t break the bank because you can purchase parts in small quantities. In some cases, the engineer can get sample prototype parts from the distributor without having to spend a dime. Find multiple parts: With thousands of parts available from these distributors you can pick and choose between like parts and have more flexibility in the product design stage. An engineer may even buy several competing components and prototype a variety of options to reduce design risk. Get parts fast: Distributors keep stock on hand and offer multiple shipping options so if you’re pressed for time you can often get parts quickly. Electronic component distributors are a great resource for the various reasons we list above, but if you need specialized parts you may have to search elsewhere. Hard to find parts engender risk. The part may be rendered obsolete by the manufacturer or removed from a vendor’s inventory without notice. You may be competing with other (possibly larger) companies for a scarce resource. Additionally, single source parts — meaning you can only get the part from one vendor–are especially dicey if they are a critical part of your design. It is good practice to limit the use of hard to find parts and single source components as much as possible to reduce risk. If you must use hard to find components, specifically custom parts, you should take these tips into consideration. Depending solely on one vendor can present its own set of challenges. What will you do if your vendor has limited quantities and you need more? Or worse yet, your vendor goes out of business. Consider using services from companies like netComponents, Octopart and Silicon Expert to help find multiple manufacturers. Here, at ES Components we have over $20 million in discontinued, obsolete, hard-to-find, and DMSMS microelectronics, including the entire inventory of the former Elmo Semiconductor/Kimball Microelectronics. Have a backup plan to handle worst case scenarios and you’ll reduce potential delays in your manufacturing process. 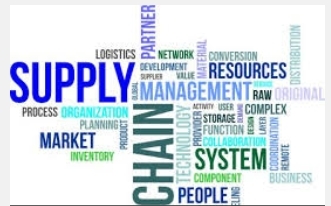 Establishing a relationship with a supply chain vendor can play an important role in sourcing hard to find, specialized parts because these vendors can leverage their extensive network of suppliers to support your part needs. Once you’ve found a part you like, you need to know where it is in its lifecycle. Is it still evolving? Is it mature? Is it being discontinued? Use this information to inform your design decisions. If you know where a part fits into the various stages, you can determine if a part is going to get even harder to find, or if your design stability is at risk. Will demand for this component skyrocket, making it even more difficult to source? Or is the industry tooling up and increasing the global supply? By knowing the component supply and demand, you can better evaluate if “hard to find” is a temporary or permanent status. On the design side, storing part information in a component library like an EDA (electronic design automation) tool can help engineers help find parts. With a stable and well defined component library, engineers can incorporate known and accessible parts in their designs. This can help reduce the chance of choosing a hard to find part when an alternative choice is available. While you should minimize the use of specialized parts as much as possible, following the tips above will help reduce the associated risks. Once you’ve found your parts, your next steps are to get the part specifications and document the key part data. In many small companies, this information either stays in an engineer’s head or is written on a piece of paper. But there are obvious concerns with either of these approaches — an engineer might forget part information, paper files can easily get lost and handwritten notes can be difficult to decipher. Entering data into an Excel file is a step up from this process, but even Excel struggles when comparing parts across different uses and sources. Not to mention, recording part versions and design decisions is cumbersome–if not impossible–in Excel. Your best bet is to use an electronic data management tool. Although there will be an initial investment to load your information and train your team, it will expedite your processes in the long run. Not only will you have an electronic record of part data that is securely backed-up, but you can share your information with internal and external partners and track your design history. No matter how you choose to document your part information, at a minimum you should capture the following things. Having the manufacturer’s part number is important — particularly when entering the production phase. As this number is used consistently across vendors, your purchasing team can use it to shop around and get the best possible pricing. Thus, your options to find the same part elsewhere increase when this information is documented. Contract manufacturers (CMs) often don’t use distributors — they go straight to the source and can leverage manufacturing sources most companies don’t have access to. A manufacturer’s part number allows CMs to optimize for cost and lead time with the manufacturer without delay. The part number isn’t the only piece of information you should capture. Documenting the vendor name and contact information is essential too — it could make the difference when you need a part in a pinch. 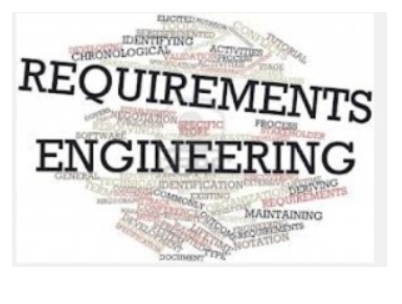 Knowing what engineering requirements the part must meet is another key piece of part data. It’s best to obtain the manufacturing PDF file or specifications sheet too. While engineers may cringe and think of this as additional work, documenting the part information in the design stage will expedite the manufacturing process when it’s time to build product in volume. Clearly specifying the part information will prevent confusion and avoidable production errors. Don’t mess around. Get it right–right from the start. You can help your engineers find and document the parts they need to build a prototype by implementing a standardized documentation system company-wide. Engineers can save time looking for parts by using a well-known and established electronic component distributor like ES Components or the ones I referenced above. Properly documenting part information—capturing the manufacturer’s part number, obtaining part spec sheets, recording vendor information—will enable your internal purchasing team or your contract manufacturer to get the best possible price for parts and propel your company to success.